Ruth Jennie Larson Prodan passed from this world into Glory on June 3, 2018 after suffering declining health for the last few weeks. She still enjoyed the company of family and friends whenever possible. Her children are thankful for the wonderful care she received at Rapid City Regional Hospital and Serenity Place Rehabilitation at St. Martin’s Village. Her presence will be missed by her remaining family and many friends. Ruth was born the second of two children to Albert and Jennie Hedlund Larson in New Britain, Connecticut on January 19, 1925 and lived her young life as a tomboy in New Britain playing baseball and ice hockey with her brother and other boys. After a pleasant childhood in New Britain, Ruth married John Prodan of Glen Ridge, New Jersey on December 29, 1945. John had been training at a base in Texas to become a pilot, intending to join the Army-Air Force in the war effort. His roommate was writing to a girl in Connecticut, and John asked his friend if the girl had a friend that he could write to as well. That girl was Ruth! As soon as John finished his training, he traveled to Connecticut to meet the girl he had been corresponding with and then told his parents that he had met the girl he was going to marry. They married a few weeks later during a blizzard in New Britain. Ruth and John began their life together traveling to Illinois for John to finish his education that had been interrupted by the war. John was then called to active duty with the Air Force, and they spent the next 30 years living at many different locations around the United States, including Alaska before it became a state. Ruth and John added six children to their family over a span of 15 years. For every Air Force duty transfer, Ruth was responsible for getting the household packed up and unpacked at each new location, not to mention enrolling all the children in schools at the various assignments. She kept the home fires burning for the family even when John was gone for months at a time such as when he was stationed in Vietnam for 2 tours. Ruth was an unsung hero, faithfully attending children’s plays, awards ceremonies, games, and PTA meetings, sometimes serving as room mother, and making sure all of the kids saw the dentist, got their checkups, and did their homework. Even so, Ruth made friends at each location, played bridge, started a long bowling career and even sometimes worked part time as her schedule allowed. After John’s retirement from the Air Force, Ruth and John settled in Rapid City in 1978, and for the next 30+ years, they did not have to move. Ruth was the rock that made it possible for John to serve his country. Ruth and John spent 62+ years together before his death in 2008. Ruth and John were active members of a Baptist church wherever they lived, and both had been committed members and past Sunday School teachers at Calvary Baptist Church in Rapid City. Ruth continued her participation whenever possible at Calvary after John’s death. Ruth was a sports fan all her life. 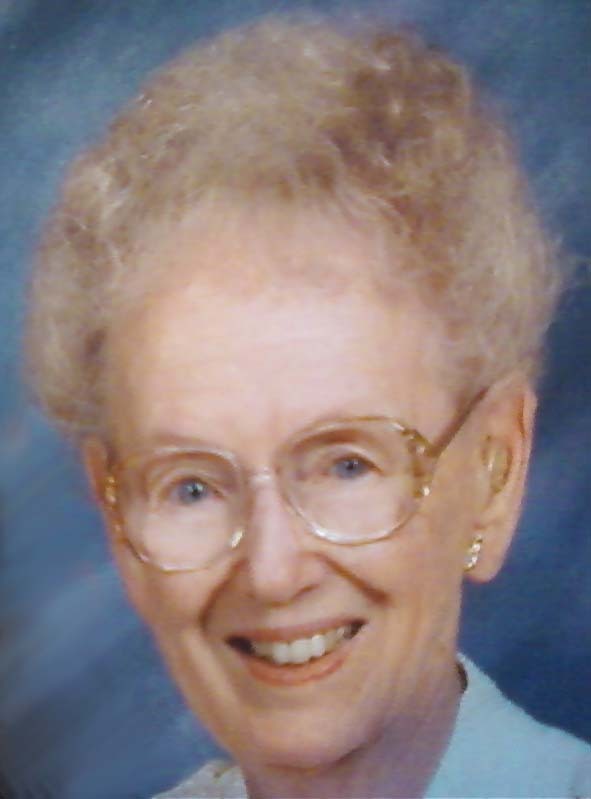 She was an avid Red Sox fan, loved to watch golf tournaments, and especially loved bowling. Ruth’s love of bowling lasted over 50 years, and throughout her adult life, her several different homes have sported many many bowling trophies. In October 2016, she was inducted into the Women’s Bowling Association Hall of Fame at a ceremony in Rapid City. Ruth is survived by six children: Susan Ruth (Ben) Bennett, Robert John (Jill) Prodan, John Vernon Prodan, Donald Albert (Tana) Prodan, Karen Ruth Bleazard, and Nancy Ann (Mike) Barnes; seven grandchildren: Jennifer Bennett, David (Erin) Prodan, Steven (Erin) Prodan, Jacklyn Prodan, Richard Prodan, Kristen Bleazard, and Joseph Barnes; two great-grandchildren: Kellen Prodan and Troy Prodan and several nieces and nephews. She is preceded in death by her husband John, daughters Ellen Marie, Nancy Ellen and an unnamed daughter, granddaughter Jacqueline Ruth Bennett, her parents and her brother Albert Larson, Jr.